Why buy a separate poker and dining set when you can have one high quality table and chairs set that will get the job done? 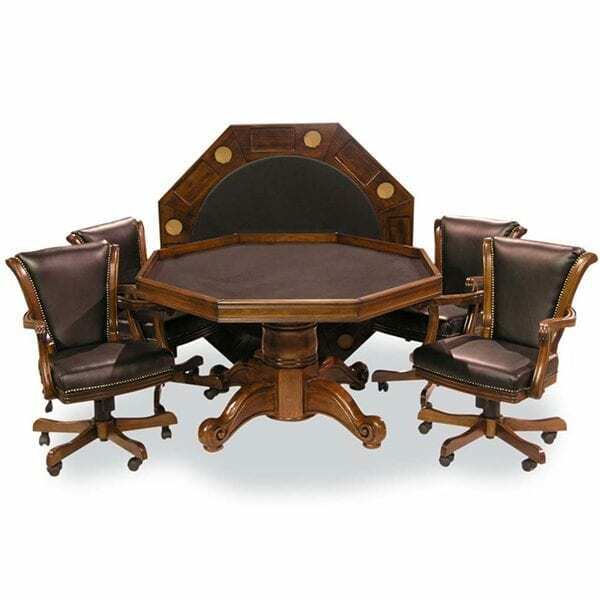 We offer this stately looking combination dining set and game room table for people who are short on space or who just want a great way to get the most out of their furnishings. 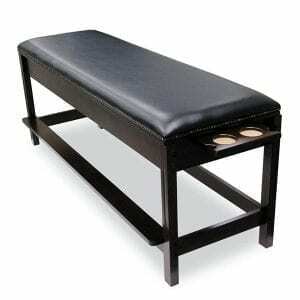 Luxuriate in the comfortable seating and the rich wood detailing. These quality details will surely add to your dining and gaming enjoyment. 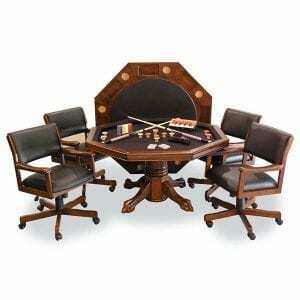 Pull up one of the Executive Game Chairs and play a game of cards, or enjoy a nice dinner. You can do either on this multi-function table. The top is reversible for quick and easy transition from Card play to dining top. Have a lot of friends who frequent your place for dinner or poker games? There’s no need to sit cramped together when you use a high quality table like this. The 54” diameter table will accommodate up to 8 players or diners. The game top has 8 sets of cup and chip holders. The area under the top is open for storage. The table itself offers considerable value and quality, but the included seating will pay back your investment every day. 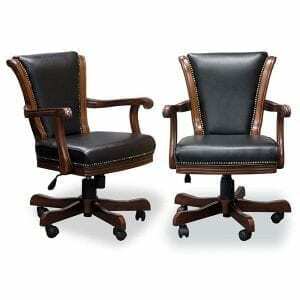 This set comes with four stylishly comfortable Executive Game / Dining Chairs. Find your comfortable position with these stylish chairs as they swivel, recline, and are adjustable in height. The bronze beading around the faux black leather cushions accentuates the sleek stylish look of the chair. Be prepared to be the envy of your friends when they come over for poker night. 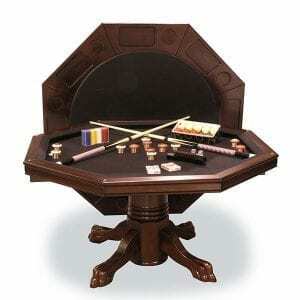 Order this outstanding combination gaming and dining table now. It will enhance the décor of any room.